This sublime blend of Applewood, American Hickory, and Red Oak is mature but gentle. If you’re unsure about which blend of pellets to use, choose the Apple blend for hardy flavors. You can’t go wrong with this one. 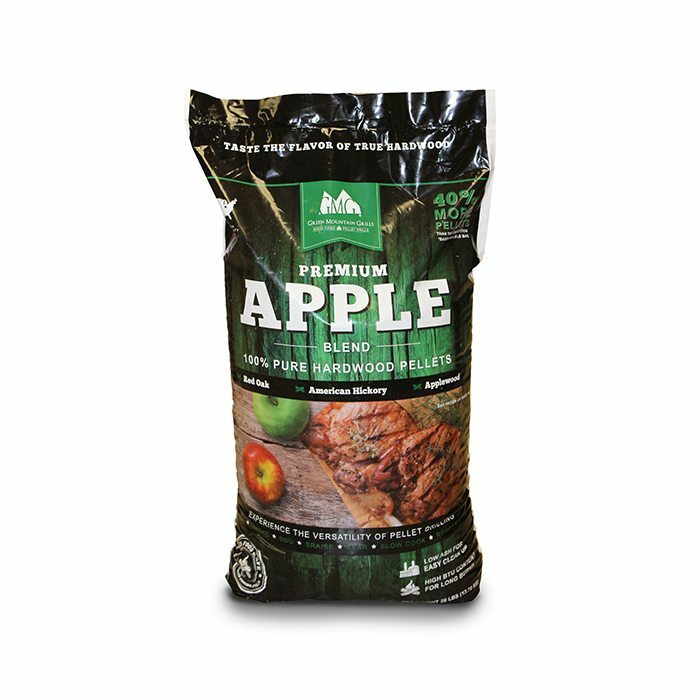 Premium Apple Blend Green Mountain Grills Pellets are a perfect blend of hardwoods that boost the flavor of anything you are cooking. Premium Apple old Blend pellets are oak based and a larger diameter pellet that allows them to last longer than standard size pellets.